Vehicle wraps are the hottest trend in vehicle beautification and corporate branding. Not only does wrapping send a message but it also protects your vehicle’s paint job from scratches and failure. A full vehicle wrap installation can take one to three days. Unless you have a non reputable company paint your ride, vehicle wrapping is much cheaper than a paint job. Our clients love it because they can switch up the look of their car on a whim without damaging the paint in the process. To change the paint color of your car annually would eventually damage the two top layers. If you’re a creative individual, you probably feel limited with the factory colors offered at the dealership. With vehicle wraps, the sky is the limit. You can have a matte, gloss or chrome finish. Vinyl wrapping is very durable and can withstand typical scrapes, scratches, mars and dings. If you’re the type to keep a vehicle for one to two years then resell or trade it in, vehicle wrapping is for you because it preserves the factory paint job. Even if you have a home based business, you are still driving from point A to point B. Why not utilize the opportunity to increase brand awareness? Having your vehicle wrapped with your company name, contact information and list of products and services has the propensity to grow your business. 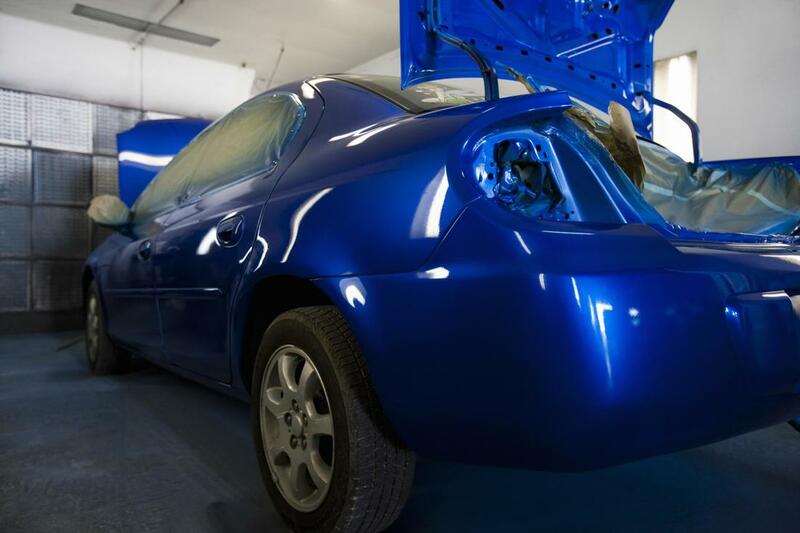 Some folks argue that repainting your vehicle is less expensive than wrapping it. You can go to a friend of a friend, a shade tree painter or chop shop to have your ride poorly painted but we can guarantee that it won’t be quality and the paint job will not last. Wraps last for the entire life of the vehicle. Our prices range between $2000-$6000. You will not get a durable paint job for less than $2000. Not only is vehicle wrapping durable, it is more impervious than a new paint job with ceramic sealing. Damage to paint typically occurs within the top layer. Cleaning your vehicle with an abrasive cleaner or non microfiber towel can put mars in your paint job. Vehicle wrapping is not just for businesses seeking to grow their market share. It’s a great idea for creatives and car junkies. If you’re in a car club, having a cohesive or monolithic look will make sure everyone knows who you’re associated with when you roll through town. Imagine a series of muscle cars wrapped in varying metallic matte tones . . . copper, rose gold, gold, silver and chrome -Dope! Creatives are able to customize their vehicles to match their personality. If you’re leasing a vehicle for two years or more, there’s no need to worry about restoring it to its original color because we can peel it off when the time is right. We can’t think of a better, more economically efficient way to promote your brand. You can spend exorbitant amounts of money on bus, TV, radio, billboard, print and Internet advertisements but there is no guarantee that anyone will click, view or listen to your ad. As you roll through Raleigh, sit at a stoplight, park at a busy shopping center, pick up and drop off your kids people will notice you and become curious about what you are selling. If you are a small business and use your vehicle for everyday errands and events, we can help you design a wrap that is subtle yet effective. Call Raleigh Window Tint Pros to discuss a vehicle wrap today!